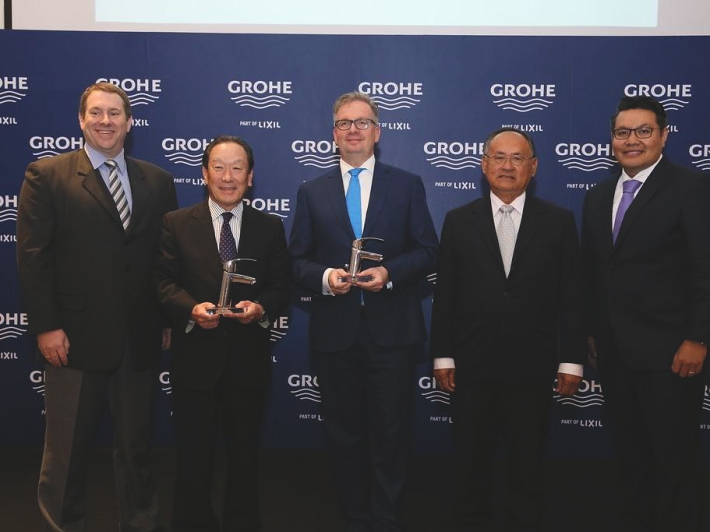 GROHE, the world’s leading provider of sanitary fittings and part of LIXIL Corporation, remains on a course of international growth and has successfully invested in its plant in Klaeng in Rayong, Thailand. As GROHE invests in new technologies, jobs and sustainability in all of its production plants, the expansion in Klaeng represents the latest in a series of investments. 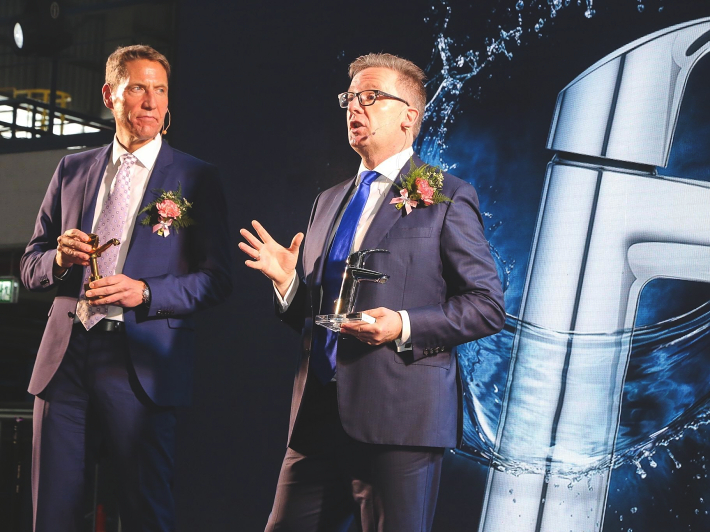 In the last five years, GROHE invested over 100 million USD in its five production sites and recently celebrated the expansion of the German production plant in Lahr. The new factory building in Klaeng occupies 12,000 square meters and enables GROHE to introduce a new manufacturing technology for zinc parts. It offers space for a full-scale production of one-hand mixers and underlines the manufacturing excellence GROHE is known for: all products pass the complete value chain in-house. The manufacturing processes follows two major material streams: brass or zinc as raw material and this includes from melting the raw material, die casting, CNC machining, polishing and electro-plating to assembly of the complete finished product and shipping the products to the customer. For a smooth running of this process, the manufacturing steps are designed according to the lean principles and industry 4.0 elements that are already fully implemented. When the ramp-up is completed in 2021, the capacity in Klaeng will have increased to 12 million parts each year. Today, over 6 million pieces are produced in Klaeng annually. Eight hundred new jobs will be created over the coming years, raising the number of employees from currently 1,700 to 2,500 by 2021. By then, GROHE will have invested more than 30 million USD (approx. THB 1.065 billion) in this expansion and GROHE Siam will be the largest plant of GROHE. The start of production was officially celebrated yesterday. With this facility, GROHE built the most sustainable plant of its kind in Southeast Asia, achieving the DGNB silver certification for sustainable building of the German Sustainability Building Council. To save resources, for example, solar power panels have been installed on the complete roof of the building and will reduce CO2 emissions by about 1,000 tons/year. High standards relate also to the wastewater. The domestic wastewater is treated biologically and afterwards corresponds to shower-quality and is re-used for irrigation and flushing. Waste separation and a dust-collecting system are other examples for GROHE’s dedication to the environment. 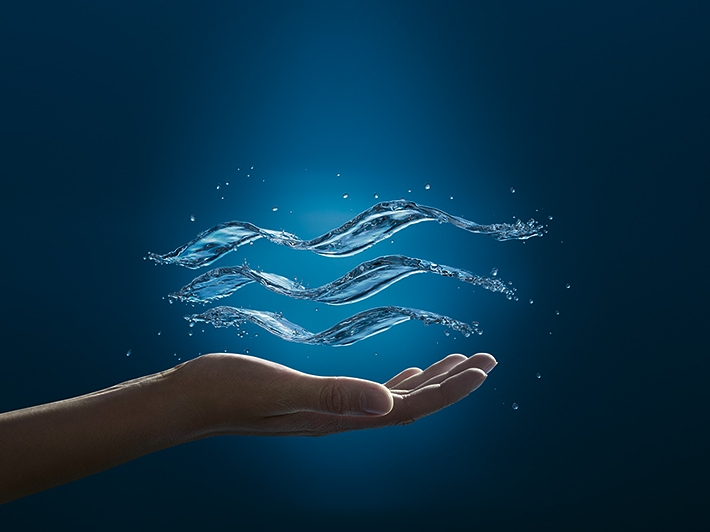 Sustainability is an integral part of daily business at GROHE and is firmly anchored in the brand`s DNA. 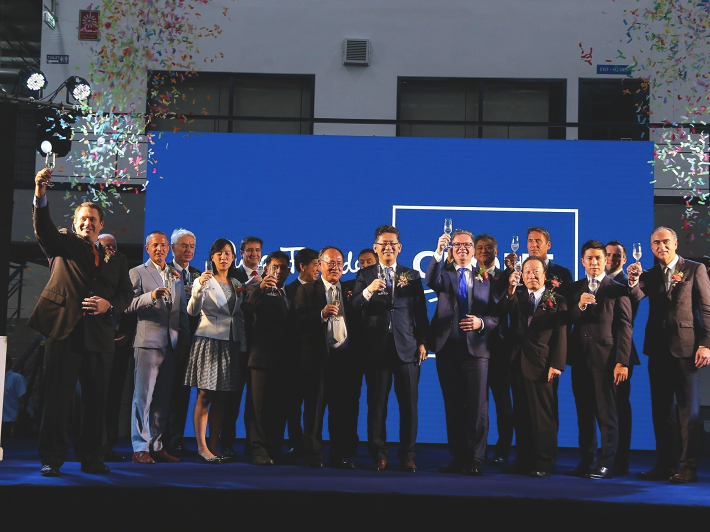 “GROHE is growing and with the expansion of our sites, such as here in Klaeng, we are continuing to drive this course of international growth forward”, said GROHE CEO, Michael Rauterkus, at the launch of the expanded facility in Klaeng. “Twenty-two years ago, GROHE Siam started as a small factory. Now it is one of the largest manufacturers of one-hand mixers in the world. Today we are taking our growth to the next level”, added Rauterkus. LIXIL Corporation has made this expansion possible. By having doubled the investments since 2014 and attaching importance to strategic projects and long-term orientation, LIXIL gives GROHE the freedom to invest and to expand. Furthermore, GROHE’s integration into LIXIL has enabled it to enter the market with a series of new product categories such as their own ceramic lines, the popular shower toilet Sensia Arena and digital innovations which revolutionize the smart home market.